7 to me at camp as I am anxious to look them over when I have a spare moment or two. Then, I'll send them on to you to keep for us. We are gathering a lot of stuff aren't we? But we'll build a place big enough to hold them all. We'll make it generous enough in space and keep costs down by keeping it simple. 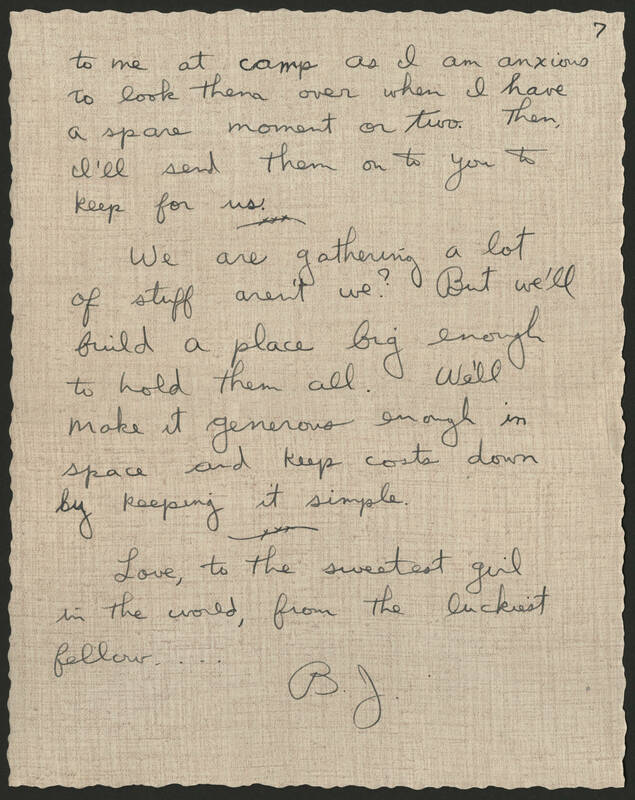 Love, to the sweetest girl in the world, from the luckiest fellow.... B.J.